Over 20,000 subscribers and growing! 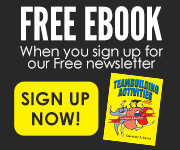 Sign Up NOW and ALSO Receive these Free Resources! I am writing to express my sincere thanks and gratitude to you for every e-mail you have sent to me so far. It is no exaggeration to say that without your advice, my work life would not be so great as it is now. Please keep sending me any advice you may have. Again, I thank you and wish you the best of luck in the years to come. 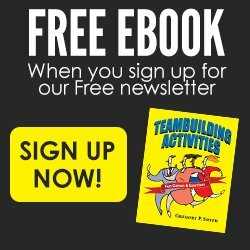 I have been a subscriber on a lot of newsletters and I find yours to be the most informative, helpful, and applicable to me. I really appreciate everything you do, so much that I joined as a full member of your website. I would just like to inform you of how very helpful your newsletters are to many of us business students. This is my first year as a subscriber to your remarkable newsletter. Please keep up the good work (because you have many eager students here waiting for the next issues)! I've spent considerable time on all of your websites; they are fantastic! The wealth of information is very impressive. I ordered your books and have printed several of your articles. I would like to hear you speak in person -- any plans to come out west? I subscribed to The Navigator newsletter in 2002 and have never missed an issue. 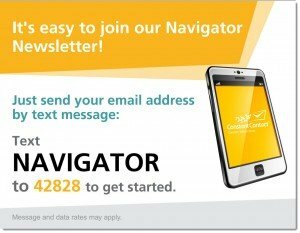 The Navigator helps me deal with people, gives me the confidence to take on challenges, and I have moved up in my career. I work in one of the highest positions in my company, and I owe at least part of this success to the principles I've learned through your newsletter ~ it is really one of the best out there. Can't tell you how timely I have found your insights to be! I am working for a healthcare and hospice provider that sees an 80% annual employee turnover rate. Huge! As a recent hire, I have been observing the processes used to hire, orient, and evaluate staff members and would have to call my introduction to the organization as more of a dis-orientation process rather than an orientation. Interestingly, I have been asked to be part of the Retention Committee. Thanks for the interesting articles and observations!